This post was updated on July 11, 2016. All aboard! 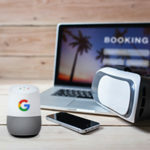 The Google quality train is making its way through the internet once again. This time, the engineer driving this metaphorical train is driven by quality and improved user experience. 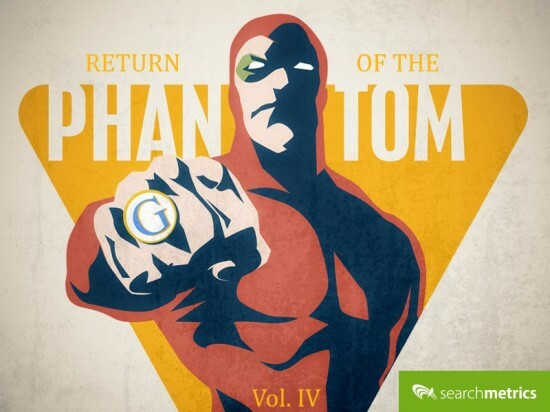 Even though this is an unconfirmed update from Google, we at Searchmetrics are seeing changes in a number of domains that were previously rewarded by Phantom. Especially where quality signals are concerned, we’re seeing connections to the work of previous Phantom updates. 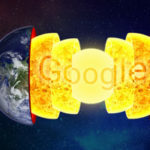 Therefore, we are unofficially considering the fluctuations to be signs of “Phantom 4,” since clear trends have emerged in our data indicating that Google is devaluing specific areas of domains exhibiting poor quality and experience for users. To be clear, there is not an easy answer here. While we can observe multiple quality factors (404 error pages, too many ads on the page, etc.) as potential contributions to a decrease in page rankings, truly understanding what constitutes rankings for quality and user intent is a new frontier in search. We’re now scrutinizing the SERPs to determine the more nebulous aspects of Google’s ranking mechanisms at work. We have to try to see with new eyes. According to our data, we’re seeing some recent steep declines in SEO Visibility impacting domains starting in late June and lasting through these first weeks of July. The larger SEO community (e.g. blogs by Glenn Gabe and Barry Schwartz) have also observed fluctuations throughout periods in June and published their observations. Below are the top symptoms of Phantom 4 as we have observed them based on the affected domains from our list of Week of July 3rd SEO Visibility Winners/Losers. Keep in mind that it’s still too early to label any related results as the direct effect of a Google update (such as a potential “Phantom 4”), but the data does indicate certain areas where pages on the loser domains are exhibiting poor quality. Here, we’ll attempt to surface some early findings, and offer conjectures as to why these pages may have lost SEO Visibility in such a short timeframe. This domain, within the recipe and food vertical, is showing a recent, sharp decline in SEO Visibility. The chart above shows how the SEO Visibility of both mobile and desktop devices reflect a simultaneous decline, thereby indicating that this quality update is not device specific. We noted the same pattern occurring on another domain within the same vertical: myrecipes.com (analyzed later). 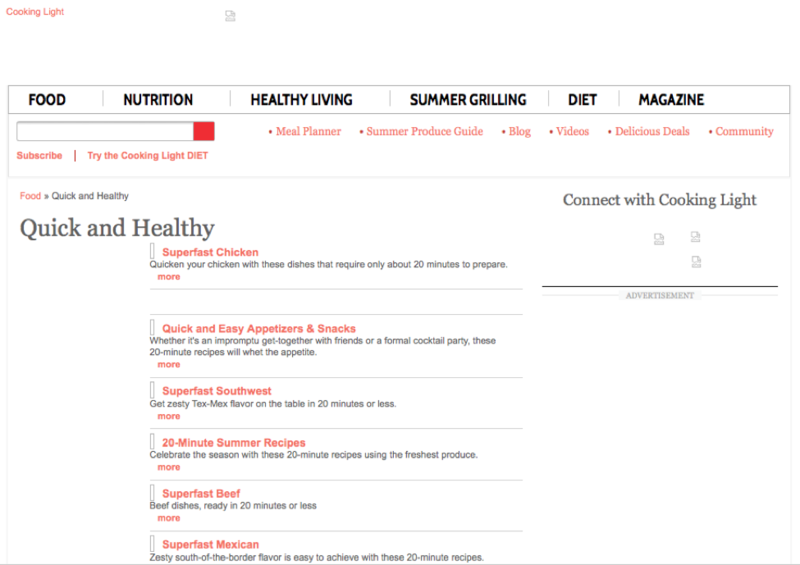 Here’s a quick screen shot of what the /food/quick-healthy page looks like with images disabled…not much content for users, or search engines for that matter. On the plus side, I’m a lot less hungry looking at all those images of avocados. Have a quick look below at the SEO Visibility of the root domain, hilton.com. See what I mean? Both desktop and mobile are increasing in SEO Visibility whilst the corporate domain (above) remains volatile. Having pages that reflect the intent of keywords is very important for rankings going forward. If the page doesn’t relate to what the user wants to achieve (glean information or make a transaction) that’s an indicator for poor quality that’s recognized by filters like Phantom. This domain serves as an example of a larger pattern we’re observing when looking at the domain history over time, as shown below. Some domains, like this one, appear to have been positively affected by previous Phantoms, now appear to be negatively impacted by Phantom 4. What can we glean from this? 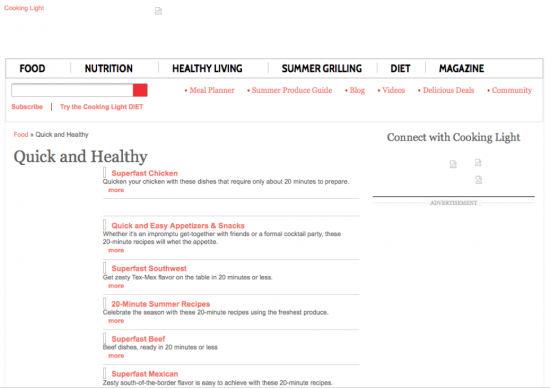 The main content of the page contains the recipe itself. But perhaps the user experience presented on this type of page is better on another domain? A quick scan of the top organic listings for a search on “chicken salad recipe” confirms the ranking domains offer pages that contain less ads, pictures illustrating the process, and even advice on what type of wine pairs well with this dish. Ultimately, a combination of several quality factors is plaguing these pages: poor page design, too many ads, and pages with little actual content that is helpful or relevant to the user. But, perhaps to a higher degree, a category level page returning an error is having a larger impact on quality. How many of these pages are being affected is difficult to determine exactly. Nonetheless, it’s interesting to note this pattern appears on other domains and in unrelated verticals. Here again, we see a domain with two patterns: first, the domain appears to have benefitted during the Phantom 3 update, but is now being negatively impacted during Phantom 4. 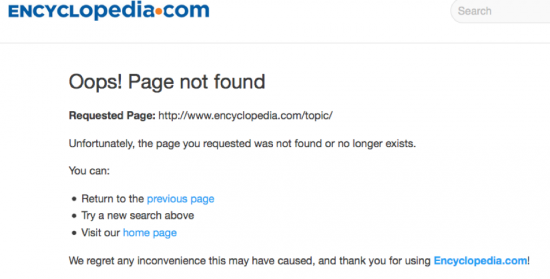 Second, the two top level category pages, /topic/ and /doc/ return a 404 (Page Not Found) error. Is it possible that, with this magnitude of poor user experience, these category level pages carry enough page strength to affect the entire domain in a quality update – even so much as to cause to the domain to suffer from Phantom 4 quality update? 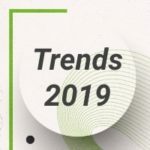 Given the multitude of factors involved in SEO, we can only speculate, especially since there appear to be other observable patterns of quality on the page-level which could also be contributing to the overall loss in SEO Visiblity. How do we stop this train? Assess your site’s user signals (few organic visits to certain pages): Identify areas of your domain where users bounce or exit your site. That’s where you need to focus on making improvements to the type of content and user experience you provide. Maintain your site architecture: Make sure to crawl your domain regularly and promptly redirect any pages that resolve to 404 errors. Check in on Search Console for increases in 404’s as well. Decrease the number of display ads: Ensure that there is a balance between quality content and the advertorial experience presented on the page. Seriously, this isn’t Vegas. Many of these examples indicate that we’re in the new normal of continuously running algorithm updates. 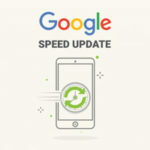 SEO has always operated without official announcements from Google on which updates are running and when, but the fact remains: the data we’re seeing here indicates that there is likely an update at work. While it’s more challenging to accurately distinguish which update is causing fluctuations at any given time, we know that Phantom focuses on improving quality and user intent where content needs to be easily accessible and organized on the page for easy consumption. I wanted to offer a new perspective on the topic after further examining the effects of top level 404 error pages. Although 404s appeared on several of the analyzed domains, they may not be directly linked to symptoms of Phantom in these cases. Still, this goes against basic SEO architecture and good housekeeping of top level pages, especially internal linking that is directed to these pages. But, it’s likely this has less to do with how Phantom 4 is operating at this time. Furthermore, when having a deeper look at the domains and pages, we noticed an above average of what we think are spammy-looking links. Having a backlink profile with spammy backlinks is technically nothing new but we’re talking about quality and on a page level. This is still a hypothesis, but a factor we will continue to monitor. What are your observations about recent fluctuations on your site? Let me know in the comments. Hey guys, are you sure a category URL returning a 404 leads to the whole directory tanking? Did you run content optimizer on tanked rankings to see if maybe gaps in the content are the problem? I think for encyclopedia.com ads are a bigger problem, than the 404s for directory URLs…Same with myrecipes.com! It almost looks more like a page layout update. What do you think? Are you seeing anything else outside of on-page being a factor here? For example, I’ve seen multiple results from a single domain showing after the recent changes and am wondering if this update affects how Google handles queries or its filtering of the results as well. Hi Mark, I’ve also been witnessing this and I think it may be rather related to RankBrain. However, quality signals, which are the focus of Phantom, do also play a role here. Let’s recap: Google is continually testing and tracking user interaction with SERPs while adapting them. So my thesis: when they track a user having searched for a certain keyword, then clicking on a result, then following an internal link to another page and staying there for a longer time, they might rank that other URL for the keyword the user initially searched for, because the user seemed more happy with the latter than with the first one. (Ok maybe they rather do it when thy track more than one user doing this). Then they would test user signals when ranking the other page directly instead of, or even in addition to the other page from the same domain for this specific keyword. Then testing again. Since they are doing this with X Domains ans Y keywords, there are often these multiple results from a single domain we are seeing. And since this seems to be a continuous process, I believe this is an algorithmical evaluation rather than a single update. Hey Kev, fair point. 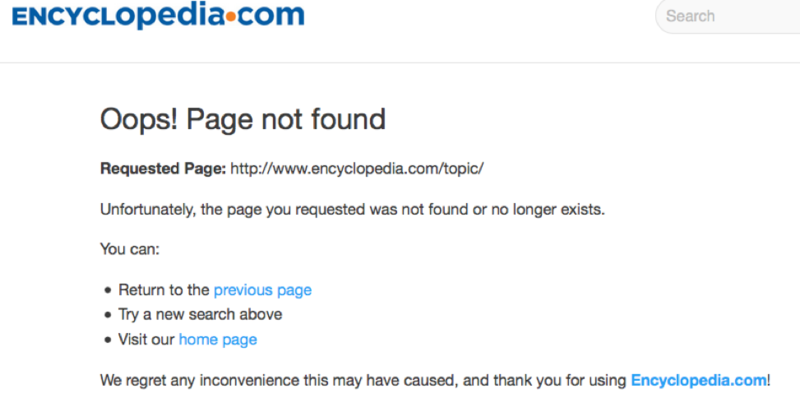 However, there is a correlation between some major directories 404ed and their drop in rankings here (encyclopedia for example), but maybe not causation. I agree that there are more issues like ads that seem to be also involved here. 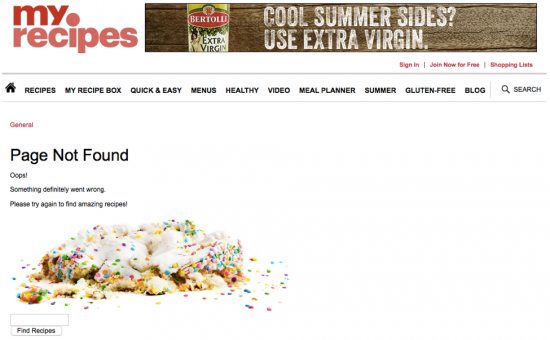 Page layout – yes and no! Regarding user signals, page layout is always part of the experience. So involved: yes – only factor: no. Agree? How would they possibly have the second click data? What I have observed recently, Google is updating in algorithm more frequently. Aged domains are ranking higher and domains with keywords are also raking well in SERP. Of course, Daniel! It’s becoming harder and harder to look through Google’s actions anyway. Even though they say they integrated a lot of quality algorithms – like Phantom or Panda – into the core algo that makes real time changes, we still see pushes like this one. And then again, some sites lose constantly over a couple of weeks, other lose within one strike. Tough to see through! So you’re using an unproven theory to support a separate hypothesis? In this case: yes! I can’t prove it. That’s why it’s a hypothesis. Open for discussion! A great article once again! BTW I didn’t know 404 errors can have a bad impact on the quality of the site. One of my client’s website has too many 404 errors because of a POS plugin we were using, so I moved that plugin to subdomain and made it disallow. Hopefully, will see some improvements in the coming days. James I second what Daniel says. – Google Analytics, Good Trusted Stores (ecommerce sites), Chrome and also Android (good call Daniel, didn’t think of that one) Take your pick they have a number of ways to get second click info. They have all the info readily available, one would think they would use it.